Google's innovative culture fosters entrepreneurism. Here are some of the hottest start-ups founded by former Googlers. NEW YORK ( TheStreet) -- It's no secret that Google ( GOOG - Get Report) has made a push to make sure that its employees stay put. The search giant started offering big incentives to prevent Googlers from exiting for hot start-ups; one engineer reportedly received a $6 million counter-offer after she announced she was leaving the company for Facebook. 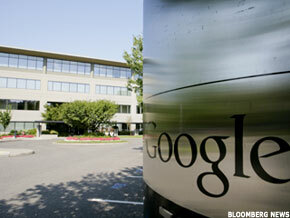 Companywide, Google recently gave its workers a $1,000 holiday bonus as well as a 10% pay raise for 2011. But for some, money just isn't enough. Google, whose "20% time" rule allows engineers to spend one workday a week working on projects they find personally interesting, has fostered a culture of innovation that practically encourages employees to depart to pursue their own ventures. "Even firms that are as resource rich as Google have a limited capacity to exploit the full spectrum of all the innovative output being created by its employees," said Mike Haynie, a professor of entrepreneurship at Syracuse University's Whitman School of Management. In response, many former Googlers -- or Xooglers, as they call themselves -- are forming their own start-ups. Ironically, several have already been acquired by Google, like social search engine Aardvark, document collaboration company AppJet and email application reMail. While Xooglers have begun to create waves outside of Mountain View, it's still too early to tell if their success will mirror the talent drained from PayPal, whose former employees went on to start LinkedIn, Yelp and YouTube, or from Netscape, whose alumni founded Tellme Networks -- now part of Microsoft ( MSFT -- and prominent venture firm Andreessen Horowitz. Read on for some of the most innovative start-ups founded by former Googlers. 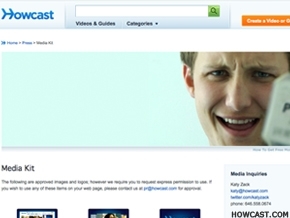 Howcast is an online library of "how to" videos founded in 2007 by three ex-Googlers. Jason Liebman, the company's chief executive officer, is a former member of Google's YouTube, Video and AdSense teams; Chief Operating Officer Daniel Blackman worked in Google's strategic product development group; and Chief Product Officer Sanjay Raman was a project manager for Google Apps. Howcast distributes its instructional videos -- from "How to Survive a Bear Attack" to "How to Paint a Wall" -- through its Web site and partners like Yahoo! ( YHOO , YouTube, MSN and Hulu. The videos are high quality and are produced by Howcast in its studios, emerging filmmakers, content partners and Howcast's own users. The company also works with corporate customers including 1-800-Flowers ( FLWS who integrate Howcast's videos within its Web site to feature commonly asked customer questions like "How to Choose the Best Way to Send Flowers." The company's mobile app has been downloaded almost 2 million times across iPhone, iPad, Android and Blackberry devices. Howcast has received $11 million in venture funding from investors including Tudor Investment. WeatherBill was founded in 2006 by Dave Friedberg, one of the first members of Google's corporate development team and a business product manager for AdWords, and Siraj Khailq, a former Google engineer. The company offers insurance policies for businesses that are impacted by weather, such as the agriculture, outdoor leisure and ski industries. WeatherBill operates a weather tracking and forecasting service that draws on historical observations, short-range forecasts, current conditions and trends to determine the price of users' contracts. The service protects against rain, drought, heat, cold and snow and sends companies a check if bad weather affects business. WeatherBill is funded by New Enterprise Associates, Index Ventures and Allen & Co.
Dasient, which protects Web sites from Internet threats, was co-founded last year by Google engineers Neil Daswani and Shariq Rizvi (as well as former McKinsey consultant Ameet Ranadive). Dasient's software helps Web sites detect and monitor malware -- malicious software designed to infiltrate a computer system without the owner's intent. Dasient also provides a service that quarantines infected code while permitting outside users to continue accessing the Web site. Malware poses a significant problem to legitimate Web sites, as its presence can damage a brand's reputation, and place the company on blacklists from security software firms, search engines and browsers. Malware is particularly prevalent on social networking sites like Facebook, where one out of five users reports being exposed to threats, according to antivirus software company BitDefender. Dasient, based in Sunnyvale, Calif., has received $2 million in seed funding. Launched in early 2010, MyLikes matches advertisers with influential Twitter users or YouTube personalities that have developed a loyal follower community. By promoting products that they enjoy, these "influencers" can earn up to $1 if their followers click through to the advertiser's website. Influencers write endorsements in their own voice, which MyLikes believes is a more effective way to reach their audeince. MyLikes has already signed up advertisers including online travel company Kayak and social gaming giant Zynga. The company is helmed by founders Bindu Reddy, a former group product manager at Google, and Arvind Sundararajan, an ex-Google engineer. MyLikes has received more than $600,000 in seed money all, from 11 former Google employees.